Tues - Sees the Gray Katz return starting at 6pm. Bob and Tom are ready to rock us through the 60s, 70s, and 80s as 12 string acoustic meets electric lead for a fun throwbackesq show! Wed - Open Mic hosted by Brian Bowen at 6pm continues to bring out the best, as talent from all over the region steps up into the limelight to share their gift. All tips for the month of February are going towards the Franklin County Senior Center in Carrabelle...come show your support and enjoy a great evening! Thurs - Sailor Larry kicks off his laid back set at 5pm, and brings the feel of the Islands, and taste of the salt air to Bowery Station's stage for an always captivating performance. 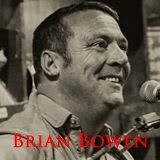 Fri - Brian Bowen brings his gritty Americana, led by choice originals and driving covers to Bowery Station starting at 5:30pm. Brian always makes for one of the best ways to kick off a Friday and get in that weekend swing! Sat - The Bo Spring Band returns to Apalach and Bowery Station for a show starting at 6pm. Incredible vocal harmonies, and driving instrumentals are always sure to bring the crowd to their feet. Show up early for a seat you won't want to stay in, as the vibe is contagious! Now that's BS, come step in some soon!